With housing prices rapidly escalating in a number of cities in Canada, home buyers are more and more often maxing out their mortgage debts just in order to get into the market. In markets that are so emotionally driven there is an extra level of panic, where people are readily willing to make sacrifices and to become “house poor” in order to buy a home. There is a perception (mistakenly) that being house poor is short term pain for long term gain. However, being house poor today will potentially impact your finances for many years to come. “The common belief is that being house poor means having to give up small luxuries, like eating out and vacations, which seems like a very reasonable sacrifice in the short term to reap the potential financial benefits of home ownership,” says Jeff Schwartz, executive director, Consolidated Credit Counseling Services of Canada. “Realistically, being house poor means that too much of your income is going to your mortgage payment and/or house related costs (especially if you’ve bought a home that needs some work). And that’s where the problem lies, when too much of your income is going to service your debt, other areas of your financial wellbeing will inevitably suffer,” says Schwartz. So what are some of the real costs of being house poor? Read on. It’s not just your lifestyle today that you are sacrificing if you become house poor. You are potentially sacrificing your lifestyle down the road as well. Think about it; if you’ve got all of your money going towards your mortgage payments, how are you going to accumulate any retirement savings? You may be able to manage your mortgage payments now, but if you are scraping the top of your debt threshold, what is going to happen if rates go up? 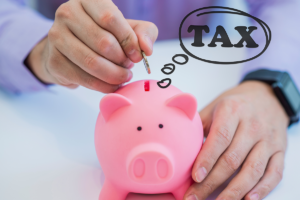 The ramifications can be significant- which may see you still laden with debt in retirement or having to work for years longer than you might have imagined, just to pay your bills. Gathering wealth through home ownership is an excellent way to build up your savings over the long term, but home equity is not liquid- meaning that you can’t get at those savings in a emergency. To take equity out of your house, you’d either have to sell it (and you’d be at the mercy of the market at a given point in time) which involves time you may not have. There are associated costs as well. In an emergency, you might be forced to take out more debt just to cover costs. Many people plan to use their home entirely to fund their retirement. This is risky proposition for a couple of reasons. First of all, if you are highly mortgaged, is it reasonable to assume that you’ll be able to pay off the mortgage before you retire? Secondly, you are relying on the market to be working in your favour at the time you sell. While in many cases, real estate will grow in value over time, that’s no guarantee, because real estate markets work in cycles, where values go up and down. You could potentially be selling at a loss, which would be amplified if you’ve got a mortgage against your home. 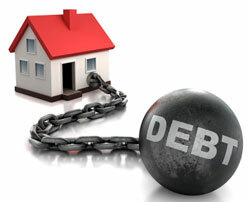 Protect yourself from being house poor by keeping by buying a home well under budget and keeping mortgage debt low. This means that you’ll have the cash flow for other savings and perhaps enjoy some short term luxuries as well. Maxed out mortgage and feeling the effects of being house poor? Lighten your debt load and free up cash flow so that you can address all of your financial goals at once. Call one of our trained credit counsellors at 1-888-294-3130 or get started with our online debt analysis.